It may be a bit difficult to talk about Kinza, probably the most inaccessible building from the Art House Project on Naoshima. Even more so because I won’t be able to show you what it looks like. Kinza, as I’ve just mentioned, is part of the Art House Project, managed by Benesse Art Site Naoshima and that consists in turning a few old abandoned houses and building into mini-museums that hosts a few artworks (sometimes just one). The project started on Naoshima about 15 years ago. It has since spread to Inujima and will do again to Teshima this summer if I’m correct. 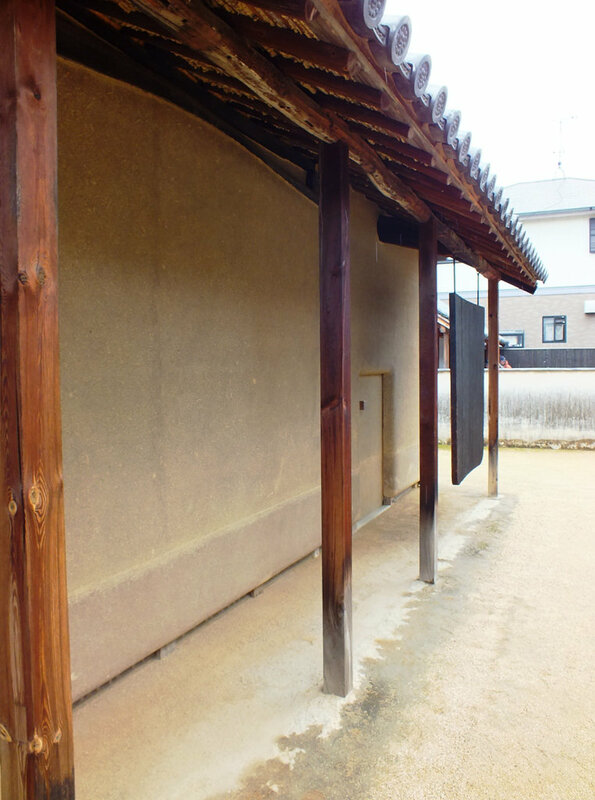 On Naoshima, the houses are located in the village of Honmura. I had visited most of them when I first visited the island in 2010. I rediscovered them more recently, last year for one of them, last week-end for the other ones. And while I must admit that I’m not as much a fan of the project as I can be with some other ones, they’re still worth a visit. Let’s start with the reason why it is difficult to visit this house/artwork. The reason is not a geographical one, Kinza is located in the heart of Honmura, right next to Gokaisho. It is difficult to access it because one can visit it only with a reservation, and as only one person can visit it at a time, no more than 18 people can see it on any given day. To give you an example, as I’m typing these lines, on April 29th, the next available spot is on May 10th. It can be a bit unpractical, especially if you come from far away, but it also has some certain advantages, the main one being that you’ll have the artwork all for yourself once you get to it. After all, one of my major issues with Naoshima is that it’s becoming more and more touristy, to the point that it’s sometimes not easy to properly enjoy some of the art on the island. At least, this problem won’t arise with Kinza. Kinza is a 200 years old house that has been renovated, while keeping the original roof, beams and posts. And even if the rest is recent, it was done with traditional techniques. This gives an interesting look to the building, very old and traditional at first glance (for example the walls are made of wattle and daub) but the design is definitely contemporary when you start looking more closely. This is all I can show you of Kinza. Inside, there is an art installation that is pretty much part of the building itself: “Being Given” by Rei Naito. It’s both a minimalist work and one full of tiny details one notices only after having spent some time observing it. Not unlike her other work in the area, Matrix, in the Teshima Art Museum. Actually, even though Being Given/Kinza predates Matrix/Teshima Art Museum by about nine years, I can’t help but find that Being Given is some sort of “anti-Matrix“; its opposite in many ways. I refuse to think that this is a coincidence. I wonder what’s a viewer’s perspective when they discover the two works in their chronological order, Matrix after Being Given? When with Matrix/Teshima Art Museum we get a space that is white, empty (at least in appearance), very large, alive (nature is part of the art) and open, with Kinza/Being Given, we enter a space that is dark, closed, small, and somewhat dead (it feels like everything has been left there, untouched, for decades). One enters the building through a very small door (no higher than 1.2m) which accentuates the feeling of confinement as soon as you’re inside. You can’t really move once inside, as visitors can’t go beyond a certain line which gives them only a few square meters of available space. I assume that limit was designed to protect the works from clumsy visitors and people with bad intentions, but no matter the reason, the contrast with Matrix is striking (as there, the visitor is literally inside the artwork, and moving in it is part of the experience). The room is obviously quite dark, as there are no windows. The lighting is very interesting though. The only light comes from daylight, and yet, it comes from the floor. While some main elements of the installation are obvious and seen right away, the visitor becomes aware of some other ones little by little as time is spent in the place. Just like in Matrix this time, and actually many common elements are present in both works such as small marbles, small thick disks, very slim strings, etc. The place invites for meditation; even if the sounds from the street can be heard they are muffled by the thick walls and the lack of window. But soon, the place starts feeling a bit claustrophobic and it’s time to leave it (note that you’re allowed to stay for 15 minutes from your appointment time). I liked visiting Kinza/Being Given, but I’m not exactly sure why, it didn’t completely satisfy me. Maybe because of that unavoidable comparison with Teshima Art Museum/Matrix? I don’t know. Earlier in this post, I wondered what the experience would be if Kinza was experienced before Teshima Art Museum, and I think that this is the right order to discover those two artworks. First Being Given‘s darkness and somewhat oppressive feeling, and then Matrix’s light, freedom and beauty. In any case, and whatever the order you see them, I strongly recommend you both, as I’m more and more convinced that both works are pretty much the two sides of one same thing. Open Thursday to Sunday (and holidays), 11am-1pm and 2pm-4.30pm. At least 15 minutes before your appointment time, please go to the Honmura Lounge & Archive’s desk to pay the fee and get your entrance ticket. I’m here now. And overwelmed with all the choices. Was there a night time event on Naoshima with one of the museums?David…… something? Sorry I’m drowning in ferry schedules. The events are many and varied, especially during the summer session. I advise you to look at the official website and guides.